::update:: entries for the giveaway are now closed, i'll post the lucky recipients later today. and, for the people who asked about the inspiration board, it's made of a material called Krommenie, cut to size and then painted by my husband. he got it from work so i have no idea where you can buy it retail in australia - maybe bunnings? They look fabulous! I hope I win! oh my.. i think i'm in love with bundle #1! thanks for having this giveaway! 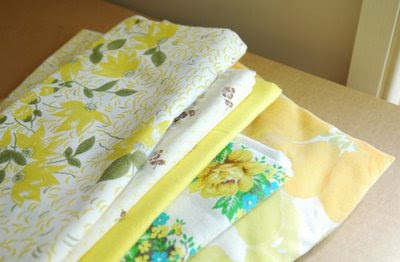 It is so hard to let go of good vintage fabric - but I would love to take bundle #2 if I win - love that top piece of fabric in photo 1 of bundle 2!! Love the fabric. 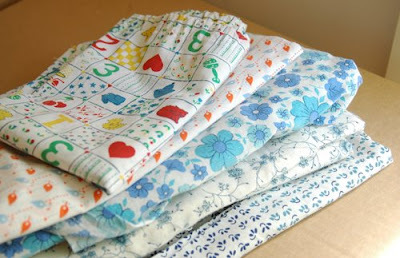 The quilt you just posted about and all of your creations are so beautiful and simple. Lovely work! I would love one of the bundles, I am starting one of your playmats now, with the pattern from Homespun, so would love some more fabric choices! I am hopeless at measuring things, I hate measuring things, so you're not alone with them being a little shoddy! Good news you could use the shelves in your craft room! Loving both bundles! Such pretty colours. 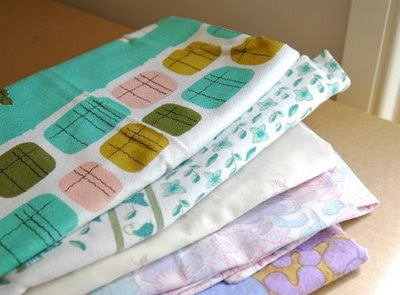 Absolutely cannot resist a fabric giveaway, thanks for being so generous! Love those yellows! I actually have a question about your inspiration board - did you make it? It looks a not standard and nicely large size. I have been looking for materials after fronting up to Bunnings last weekend naively assuming I could buy a big piece of cork board - no go! And online sources seem to recommend "homasote" but I've never seen this in Melbs. Any tips? Thanks! You sound just like me in terms of not checking things correctly and my boyfriend getting annoyed. I do it all the time! oh please! count me in. your sewing room is great btw. i would love to have a space that big! gosh, both bundles are great, but bundle 2 is very nice indeed. How fortunate for someone else that that bookcase didn't fit! sewing room looks fabulous...lovely fabric in the giveaway, I have just started collecting some vinatage sheets myself after you inspired me with your gorgeous vintage sheet quilt, although I only have one so far..lol!! Thanks for sharing! I'm about to make a playmat for my 8 week old as I've been inspired by your blog... Keep up your lovely work. 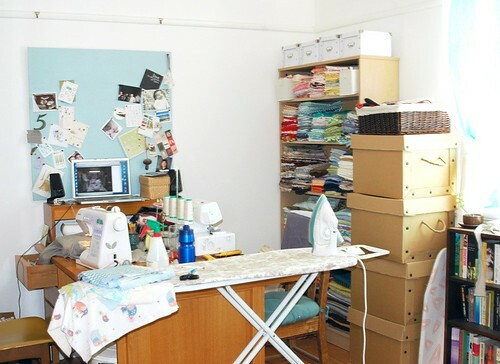 Oh my, your sewing room and fabric stash look wonderful! Please count me in for the giveaway too. How generous! Thank you for offering these! :) Please count me in. Even though I'm not eligible (US resident) I just wanted to say this is some nice material you are giving away. Your room looks nice! how crazy is this heat!? PS your sewing room looks good to me, mine looks like a fabric explosion! anna, re:the cork board, my husband works at a hospital and brought this home from work for me. i don't know what the material is called, it's sort of like super soft MDF board. he cut it to the size i wanted and painted it up. so, that's probably not much help to you but at least you know not to try and search one out in a shop, right? i'll ask him if he knows what the stuff is called when he gets home. If I don't win the fabric can I move into the sewing room instead, so jealous. That bookcase is fab! such lovely stuff! If I win will I be obliged to clear some stuff out of my craft room too?? Yours looks insanely neat in comparison! Either bundle looks great - fingers crossed. I wanted to tell you that I posted off a wee package for you yesterday - I hope it arrives safe and sound! I love your fabric choices. Beautiful fabric. Thanks for the giveaway! my sewing space looks exactly the same. i can't seem to put my ironing board down either! thanks for the giveaway! a great giveaway and excellent distraction from the heat! Impulsive purchases, yes I am king! Can sympathise with your situation, and how one problem creates another headache!!! How can you part with some of those beautiful floral prints? Love the yellow and blue floral in the last photo. This is my first visit to your blog- and Hello! a giveawy! Awesome! Aren't you lovely! I've been sewing through my stash as it's been too hot to knit and its starting to look quite meagre. Weird! It's quite refreshing to cull sometimes, isn't it? See you this arvo at mixtogether. 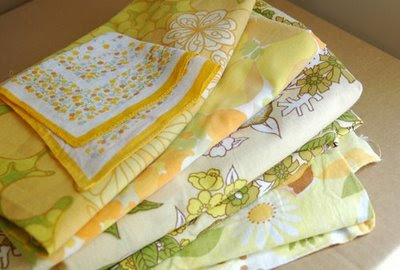 i think i see sadie's oobee in there... i love the 50's mod fabric on the top of pic 3. (i know i can't have it). maybe some family members. maybe. start putting my fabric up on etsy.